University of Maryland said that it has placed football coach D.J. Durkin on leave while school investigates a bullying allegation. WASHINGTON — University of Maryland said that it has placed football coach D.J. Durkin on leave while school investigates a bullying allegation. Damon Evans has announced Coach DJ Durkin is on leave effective immediately while a thorough examination of our coaching practices is conducted. Matt Canada will serve as interim head coach. We must do better, and we will rebuild a culture of respect in our football program. The announcement follows an article published in ESPN this week that referenced players’ complaints that Durkin and Rick Court, the person in charge of team’s strength and conditioning staff, cultivated a culture of toxicity on and off the field. ESPN said the players spoke on the condition of anonymity out of fear of repercussions of talking publicly. 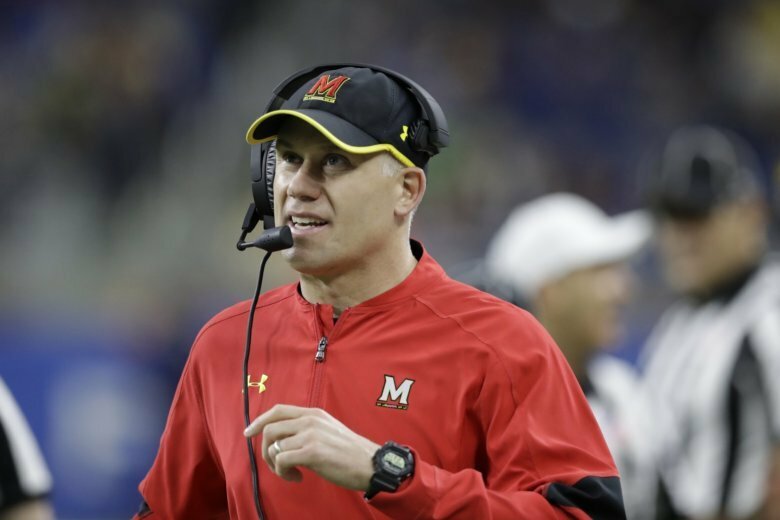 Athletic Director Damon Evans said in a statement Saturday that placing Durkin on leave was “the best decision” for the football program so that the “culture of the program” could be reviewed. Court was placed on paid leave as part of the investigation into the article’s claims, The Associated Press reported Saturday, citing an anonymous source. The school is also investigating the death of offensive lineman Jordan McNair, 19, who died weeks after an offseason workout in June. Heatstroke was eventually determined to be the cause of his death. McNair was majoring in kinesiology and was a redshirt freshman last year. He played in one game for Maryland, against Towson, on Sept. 9. Dr. Rod Walters, a former college athletic trainer, has been hired by Maryland to investigate the circumstances of the death; a report is expected by Sept. 15, The Associated Press reported. McNair’s parents are being represented by Baltimore attorney Bill Murphy, whose firm is also investigating. Athletic Director Damon Evans, in a letter to the university’s community, disputed the accusations in the ESPN report, stating that the claims were “not reflective of the culture we seek to build here.” He also said he was “committed to swiftly examining and addressing any reports brought” to his attention. Maryland’s gubernatorial candidates weighed in on the controversy on Saturday. Ben Jealous, the Democrat running for governor, published a tweet calling for Evans and Durkin’s suspensions, ahead of the announcement that Durkin was placed on leave.